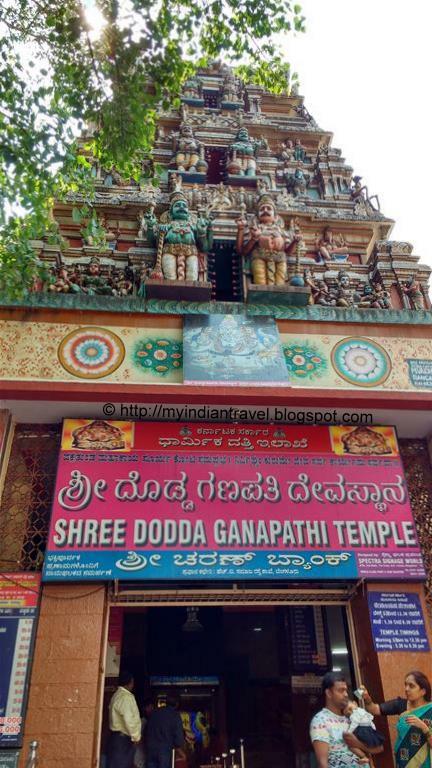 Dodda Ganapathi Temple located on the Bull Temple Road in Bangalore is one of the popular temples in the city. The construction of the temple is done by Kempegowda I founder of the city in the year 1536. 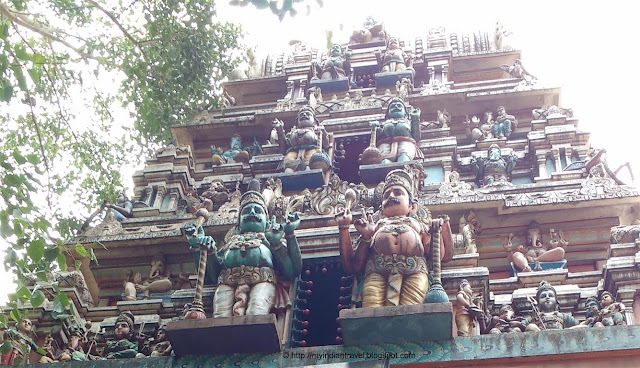 The temple has huge monolith of Lord Ganesha that is 18 feet high and 16 feet wide. The idol is given different types of decorations that are done during the week. 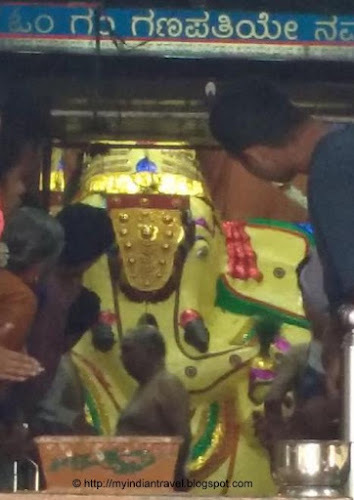 The most captivating one is the butter coating of the idol where idol is smeared with a whopping 100 kg of butter. Oh my it is smeared with so much butter. Interesting.....! I like how the modern sign complements the colourful sculptures! I love the subtle shadows.